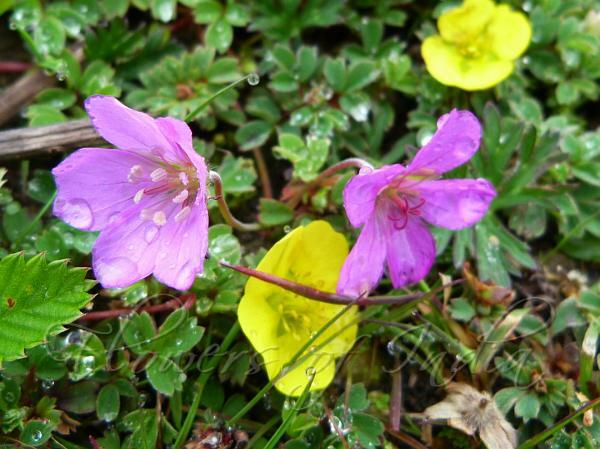 Don's Geranium is a beautiful wildflower found in Eastern Himalayas at altitudes of 3300-4500 m. Flowers are purplish-pink, 1.5-2 cm across, paired on a stalk. Sepals are 6-10 mm long, with white adpressed hairs on the mid-vein. Petals are pinkish-purple, with margin hairy at the base, tip shallowly notched. Stamen filaments are light purple with long hairs, and the stigma is dark red. Leaves are rounded in outline, deeply 5-lobed, lobes cut into linear of lance-shaped rather blunt segments. It is a small perennial, 5-15 cm tall. 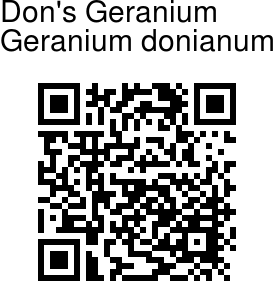 Don's Geranium was named in the honour of the British botanist David Don (1800-1841). Flowering: June-August.